Yulanda Davis-Quarrie has over 25 years of experience in professional administration and fund development. Currently, serving as Director of Institutional Advancement at Ramona Convent Secondary School, Davis-Quarrie has served most of her development experience in the field of hospital development, leading three nonprofit hospital foundations and two and half years ago moved back into the field of educational advancement. Yulanda is currently the immediate past Chair of AFP Global’s Ethics Committee, having served on the Ethics committee for over 9 years. Recently, Melanie Elliott, AFP-GLAC’s Ethics Chair sat down to chat with Yulanda. ME: Hi Yulanda. It’s great to see you. Thanks for taking time to speak with me. Let’s start off with how you got involved in nonprofit fundraising. YD-Q: I actually fell into fundraising. I got my master’s degree in healthcare management in the late 70s with the goal of being a hospital administrator. At the time, there were no jobs available. However, there was an opening for an administration assistant at Orthopedic Hospital Foundation, where Jon Olson was Senior Vice President of the hospital foundation. Jon was also very involved with the National Society of Fund Raising Executives (now AFP). I served as Jon’s administrative assistant for about 1.5 years when Jon approached me about making development a career and then had me join the professional staff. So I joined as the Assistant Director of Development working with some of the numerous support groups there. Jon’s primary goal was to add to the diversity of the field. That is how I began my fundraising career. Claudia Looney joined our team shortly after I was promoted. ME: That’s probably how a number of fundraisers began their careers. I didn’t know this could be a career until someone told me about AFP. I went to my first meeting in October 2015 and said to myself, “these are my people.” I’ve been involved ever since. How did you get involved with the Ethics Committee? YD-Q: I sat on the Board of AFP-GLAC, was the Past President of the chapter, and past AFP Global Board Member. I also served on the Diversity Committee of AFP, International. Claudia Looney invited me to be on the Ethics Committee. I’ve been on the committee now for over 9 years and will roll off in 2 years. Currently, I’m also on the Investment Sub-Committee. ME: Why is ethics in fundraising important to you? YD-Q: We are entrusted with people do to the right thing with the money they give us. I like the phrase “board of trustees” rather than “board of directors” because they are entrusting us to use their funds to make and change people’s lives. When people get in trouble, it’s because they don’t follow ethics. Their compass is off. ME: What is it like to be on the committee? YD-Q: It’s challenging because you feel such a tremendous sense of responsibility. If you have been on a panel that has to determine whether a member has violated the code of ethics, you’re really impacting a someone’s life in a big way if the member is found to have violated the code. To me, we are in troubling times now and I feel that many have lost their moral and ethical compass. Certain behaviors are not okay. As a fundraiser, it’s an honor to be a fundraiser for all these organizations that are impacting and changing people’s lives. We want to do that in an ethical way. ME: What has been the most interesting ethics issue you’ve heard about without breaking any committee confidences? YD-Q: That is a tough one because as a member of the ethics committee we are sworn to a confidentially on all cases and complaints that are brought to the committee for review. However, I can say that we had one colleague who shared with us that she was asked upon being hired, to do something that was in clear violation of the code. She had the courage to say she was not able to provide what they requested and they then rescinded the offer. However, she says that she walked away with a very clear conscience knowing that she was honoring the code that she had signed when she signed her AFP membership application. ME: It takes courage to do the ethical thing. ME: Is there anything you’d like to say to someone at an organization where the organization may be on the fence about doing something unethical? YD-Q: If you are working at an organization and you see something unethical, bring it to your immediate supervisor. ME: What if they don’t listen? YD-Q: You should take the next step and file a complaint. If you are a member of AFP, the organization must follow the code of ethics. Even if organizations do not have personnel who are members of AFP, a complaint can still be filed with AFP and if they are seen as violating the code or codes, a letter can be sent to them informing them of the violations(s). And, as hard as it might be, if the organization still continues violating the code, you need to decide on whether or not you should stay there. I had a situation years ago where an endowment was upside down. The board wanted to take money from the principal to pay operating expenses, but funds were restricted to a permanently restricted endowment. Which meant we could only use the interest. I said we couldn’t do it and stood my ground. I had a lot of angry board members, but I continued to say “No.” It took a few years to get the endowment right side up, but it happened. It’s hard, but you need the courage and strength to do the ethical thing. ME: That must have been difficult at the time. I’m glad you got through it. Do you have any closing thoughts or comments? YD-Q: Only this: There is some meaning to signing AFP’s Code of Ethics. You are carrying that responsibility forth with the work you do. ME: Yulanda, thank you again for talking with me. You’ve given me a deeper appreciation for the work we do and for our Code of Ethics. YD-Q: Thank you. This was fun. For more information on AFP’s ethics, please check out their website by clicking here AFP Global – Ethics. Claudia Looney has spent over 50 years as a fundraiser and continues to leave a long legacy of incredible achievements, including raising more than $1 billion dollars for Children’s Hospital Los Angeles. 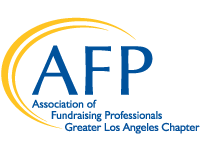 In 2012 AFP awarded her the CCS Award for Outstanding Fundraising Professional. In furtherance of our AFP-GLAC’s Eye on Ethics program, Ethics Chair, Melanie Elliott had the privilege of speaking with Claudia about the importance of ethics in fundraising. ME: Thank you for agreeing to speak with me today. To start things off, how long have you been a member of AFP? CL: I have proudly been a member for 40 years. ME: Aside from the outstanding fundraising you achieved at Children’s Hospital Los Angeles, where else have you made an impact? CL: I have worked at the YWCA of North Orange County, Campfire, Inc., Saddleback Medical Center Foundation, Northwestern Memorial Hospital, and the California Institute of the Arts. I have also had the privilege of working with many wonderful organizations as a CCS Fundraising consultant. ME: I’m sure you’ve encountered a number of ethical issues over the years you’ve been fundraising. What was your first experience with that? CL: I grew up in a family that expected ethical behavior from their children. I learned a set of values early on in church. We practiced those values at home. I had a clear sense of right and wrong. It’s part of who I am today. do not like injustice in any form. In the 1980s I was leading the fundraising program at Saddleback Medical Center. A volunteer donor insisted that I accept her mink coat as a gift. I didn’t want to offend her, but ethically I couldn’t accept it. This became a teaching moment, for I had the opportunity to explain why I could not accept her gift. She was undeterred, however. So, I suggested that she donate the coat to the gift shop. They put a fair price on it, and I bought it. The donor was happy, but I didn't need a mink coat in southern California, so I ended up donating it back to the thrift shop, after wearing it once at an event where the donor would see that I was wearing it. She was happy. She became a long-time friend of the hospital. ME: Sounds like it all worked out. Why is ethics so important for AFP and nonprofits? CL: Fundraising is built on trust. As fundraisers we have a moral responsibility to see that the designated gift is used per the donor’s wishes. The donors trust that the nonprofit will use their contributions in the way that they requested it to be used. Your ethical practices and actions as a fundraiser will indeed encourage long-term support for your organization. Unintended consequences created by missteps can last years in the minds of donors. If we know ethical practices, we can avoid missteps. ME: Have you been involved with any service regarding ethics and AFP? CL: Around 2005, I was invited to serve on the International Ethics Committee for AFP. I was privileged to serve on the committee for 8 years. Some of our work involved reviewing and refining the Code of Ethical Standards. This is the document that we all sign when we become a member of AFP. The committee also looked at member violations of the Code and decided on appropriate actions to take. We also created new standards for online fundraising during my time on the committee. We validated our decision-making by reaching out to leadership from the private sector, including foundations, attorneys and other thought partners to help guide our decisions around controversial issues. ME: In 2011 you started The Claudia A. Looney Fund for Ethics in Fundraising. Would you mind telling me about this? CL: The fund is intended to help professionals understand the nuances and standards of ethical behavior through webinars, conferences, and educational training opportunities. Such educational offerings are helpful and provide directions and guidance with ethical incidences that will surely pop up throughout our careers. The Fund began in 2011 after I retired from Children’s Hospital. My son, Chris Looney, who was on the AFP Foundation board, wanted to honor me by creating the fund upon my retirement. He organized a group of friends and colleagues and encouraged them to donate to the Endowment Fund. It was created within a year with the $50,000 minimum amount needed to create an AFP fund. Today, the endowment has grown and is being used for the designated purpose. I am honored and humbled by this endowment fund named in my honor. ME: What a nice way to help others when an ethical issue arises. Is there anything else you’d like to add? CL: I’d like to let people know what they can do if they come upon an ethical situation. If that happens, I refer to the AFP Code of Ethics that addresses most issues. If needed, I suggest having a conversation with a respected colleague to seek further assistance. I would also turn to the AFP International Headquarters as a resource to give direction and guidance. The most important thing to know is that you don’t have to go it alone to figure it out. There are resources and other professionals who can help. ME: Claudia, thank you for taking the time to speak with me. You’re an inspiration! In continuing AFP-GLAC’s Eye on Ethics program, periodically we’ll post conversations about ethics with various fundraising professionals. July’s chat is between Melanie Elliott, Ethics Chair and Rebecca Powell, Director Board Governance & Ethics from AFP’s International Headquarters. ME: Hi Rebecca. Thank you for speaking with me today. There are a few questions I’d like to ask you regarding AFP and ethics. How long have you been the Director Board Governance & Ethics? RK: I have been with AFP International Headquarters for 20 years and started as a Senior Director working for the President’s office. ME: What peaked your interest? RK: Previously, I worked at the Epilepsy Foundation and worked with their Board Governance and serving boards. In nonprofits, there is a lot of passion from board members. AFP has an enforceable Ethics Code and it is very interesting working with the membership to help them understand the 25 standards and why they want to abide by the Code. ME: Can you tell me a little bit about your work and what you do as the Director? RK: I am the staff liaison for the AFP Association and US Foundation boards of directors. I am also the staff liaison for the International ethics program and committee. All ethics inquiries come to me initially and are responded to by myself or Jason Lee, JD, AFP General Counsel. If there is a more complicated question regarding fundraising ethics, we will funnel the question through the Ethics Committee and get their thoughts. ME: What does the Ethics Committee do? RK: The Ethics Committee reports to the AFP board chair. The Committee promotes responsible and ethical behavior by its members and those holding AFP certification. The Committee designs a work plan every year and discusses cases and holds ethical hearings when needed. The Committee meets three times a year by phone. When meeting, they discuss how best to educate members about the Code and standards, how to handle ethical issues within the profession, and they write professional papers to inform the members. Currently, the Committee is working on a paper regarding donor advised funds. They are also working on international service outreach to non-members and CEOs so that they are aware of AFPs’ Code of Ethics. ME: You mentioned the Committee hears complaints. On average, how many complaints are filed each year? RK: On average, there are three complaints a year. ME: How does the process work? RK: Upon receipt of a complaint, there is an initial investigation to determine if the complaint contains sufficient and reliable information and is not patently frivolous or inconsequential so as to warrant initiation of steps to determine factual sufficiency for a hearing. Then the case is discussed with the Ethics Committee who decides if the case should go to a hearing. A hearing panel is assigned to review the case which is then followed by a hearing in front of the panel with members. At the hearing there is a hearing officer and Judge Advocate pro tempore and two hearing panelists. The enforcement process can sometimes take 1 to 2 years to close due to needing to work with all parties involved to collect all the information. Some hearings are held by phone and some face-to-face and legal counsel may attend the hearings. ME: What are the penalties if an individual is found to be in violation? RK: There are four possible sanctions: 1) Reprimand – a reprimand is formal rebuke by the Committee in writing addressed to the member. 2) Censure – censure is a more serious rebuke in writing, and carries a prohibition on holding any Association or chapter office, and sponsoring, exhibiting, advertising or otherwise participating in any AFP sanctioned activity at any level within the Association for one year. 3) Suspension – suspension excludes an individual or entity from membership in AFP for a stated period of time and/or under stated conditions and includes a prohibition on holding any Association or chapter office, and sponsoring, exhibiting, advertising, purchasing a mailing list, receiving AFP awards, or otherwise participating in any AFP sanctioned activity at any level within the Association, which includes forfeiting any payments made related to any AFP sanctioned activity, for the stated period. 4) Revocation of membership - revocation bars an individual or entity from membership in AFP, is permanent and includes a permanent prohibition on sponsoring, exhibiting, advertising or otherwise participating in any AFP sanctioned activity at any level within the Association. Revocation of membership automatically includes a recommendation to revoke certification or endorsement sponsored by AFP, if applicable. ME: It must be a pretty serious violation for the membership to be revoked and lose certification. RK: We list the expulsions on our website. ME: What are the most common violations? RK: There are two: 1) Misuse of donor funds and bequests where money is left to individuals at an organization who cultivated the relationship with the donor and end up in the donor’s will, and 2) misrepresenting themselves as a CFRE or ACFRE. ME: I didn’t know that can happen. RK: It does. As fundraisers, we can’t accept a bequest from a donor you have befriended through your job or use a credential they haven’t earned. ME: Thank you so much for taking the time to speak with me today. I have one last question for you, Why is ethics not a “hot” topic? RK: Everyone wants to be ethical or think they’re ethical, but no one really wants to hear about it. It’s like being an airline flight attendant and giving the safety speech before the flight takes off. We all need to know flight safety, but no one really listens to the attendant while they’re talking. FYI, there will be a free ethics webinar on September 18 again this year. As part of the AFP Ten Star Gold Award, the chapters are required to hold an ethics workshop or have some kind of programming on ethics education. All chapters and members are invited to join in and this will meet the criteria for a workshop. ME: Thank you again, Rebecca.